The Litter Box: The Old And The New: What Ever Happened To Music? The Old And The New: What Ever Happened To Music? I have never been much of a K-Pop fan. Although I did listen to some Korean songs in the past, most of them were songs that I heard from Korean dramas. The likes of BoA and Baek Ji Young made me like Korean music but that was that.I am not saying that I am not going to give a chance to other Korean artists or songs anymore. I am just saying recently, most of the Korean songs I hear just don't suit my taste therefore, aren't to my liking. Boy bands and girl bands are everywhere. To me, they all look the same and their songs might be different but somehow the beats are almost the same. Repetitive lyrics are common in the music industry. Sadly, it is like it is hard to find so many good lyricists these days. Either that or they stick with the formula of repetition as it somewhat sells more to the public. Yes, many people have lowered their standards to music already. Gone are the days that lyrics mattered as they conveyed messages. These days, some song lyrics might not even mean anything. Sad but true. One of the most recent Korean trends is the sensation, Psy, who made the song, Gangnam Style popular. Honestly, I am not a fan. Sure, haters gonna hate but I just don't like the song because of its repetitive nature. I don't hate it because I don't understand it. I don't hate it because I hate the singer as well. I just don't feel the song. That's all. I am not a person who mainstreams often. I was probably one of the last people to know about Gangnam Style and I swore to myself to stay from it as much as possible. Sadly, it is hard to do so especially if you live in a country who likes the song too much. The dance is supposed to be a horse dance. It is funny looking and the dance just seems awkward to me. I guess I just like other dances with more fluid and graveful movements. That's all. 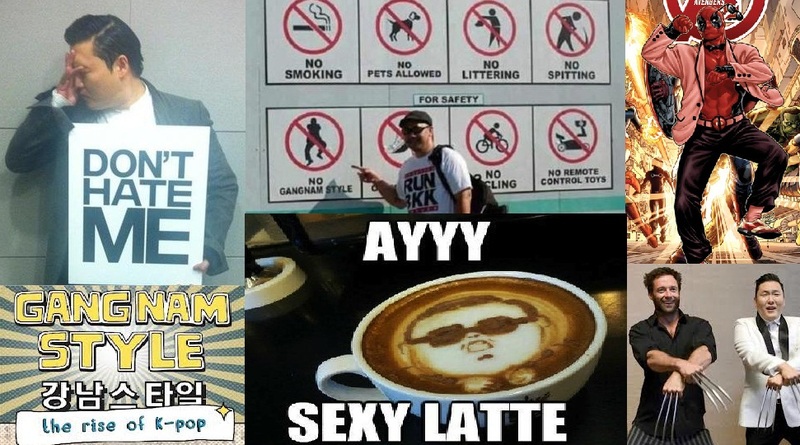 Gangnam Style is said to be the rise of K-Pop around the world. I wouldn't argue with that as it did become a hit virtually everywhere. It just went viral. But Gangnam Style is not the only repetitive song out there. Somehow, there are more and more these days. I am not saying that good music is gone. There might be some out there but there are only a few. I like Katy Perry and her songs but some of them are rather repetitive too. Same goes for Taylor Swift. Most old people dislike the music that we have these days. Maybe as I grow older, I will start doing so too especially because I am starting now. I love some classic songs and bands. I am a late 80's-90's baby therefore, I am more into the music of my generation. Whatever happened to music? Is there ever a way to go back? I guess not. Thankfully, accessing music these days, no matter how old the songs maybe has become easier. Thank Youtube and other streaming websites out there. Yes, enough. I remember saying this before after getting fed up of hearing the song repeatedly everywhere. Call Me Maybe by Carly Rae Jepsen was another one of those songs and honestly, I was really annoyed. It was as if there are no other songs that can be played by people everywhere. Yes, I literally had to cover my ears. Sorry but I've had my fill of these repetitive song lyrics. It was torture, I tell you. Gangnam Style fever hits the world. Remember the video of Death Pool dancing at the San Diego Comic Con? Yes, he was dancing Gangnam Style then. Even Wolverine couldn't resist doing so. 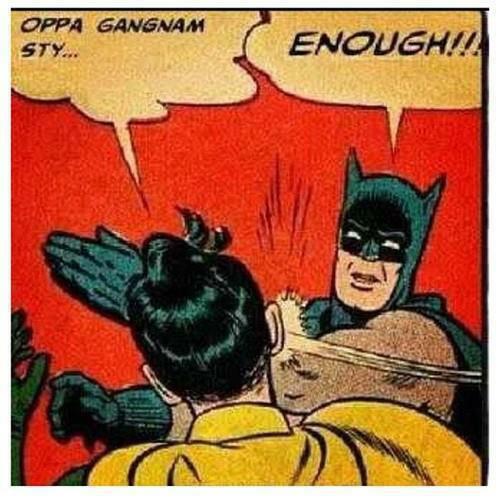 But just like me, not everyone is fond of the Gangnam Style. Thank God that I am not alone in this. Comparing the song lyrics then and now is just an eye-opener that back in the day lyrics mattered. These days, I just don't know what the music industry is thinking of anymore. Old or new, music is music no matter how some people see it. This is the generation gap that's talking. I am in the middle of it. I am not yet too old or too young to be left behind but somehow I am more partial to old music than new but that doesn't mean that I won't be liking some new songs as well. Just saying that my taste in music isn't exactly very modern. I was never into mainstreaming anyway so why bother explaining myself when it comes to my taste in music.